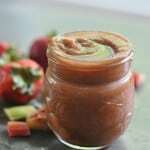 A super simple recipe for making your own sweet Rhubarb Syrup. When winter rolls out-of-town, we get really excited for any and all signs of spring. One of my favorite veggies of spring is Rhubarb. 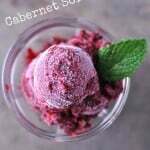 It’s bright color and tart taste is just what we need after a few five months inside during winter. My rhubarb plant is so tiny, really it’s laughable. And as the garden continues to grow it has become clear that what was once a small rhubarb plant is now completely covered by a Raspberry bush and so my dreams of large bunches of rhubarb aren’t happening. 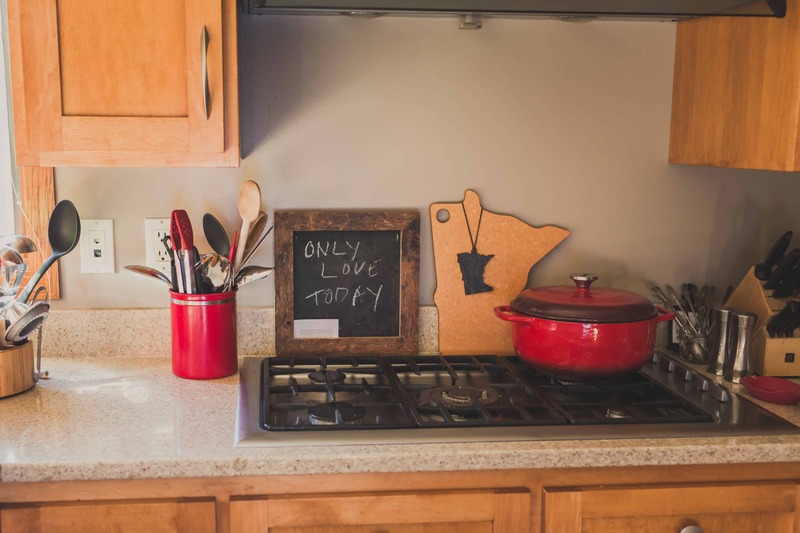 So that just means more trips to the St. Paul Farmer’s Market. Twist my arm. 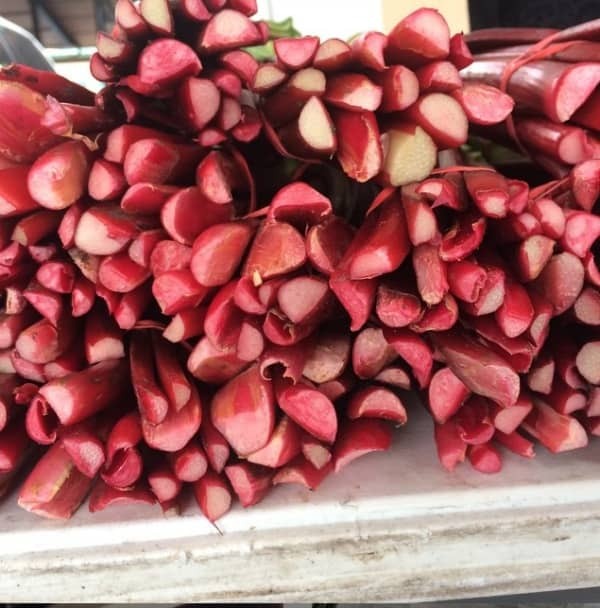 So there’s laughable rhubarb (my house) and jaw-dropping rhubarb (farmer’s market). Exhibit above. Seriously, the rhubarb was as tall as my son. So I *may* have gone overboard and bought too much. I stopped counting when I reached 24 cups of chopped rhubarb. Yikes. 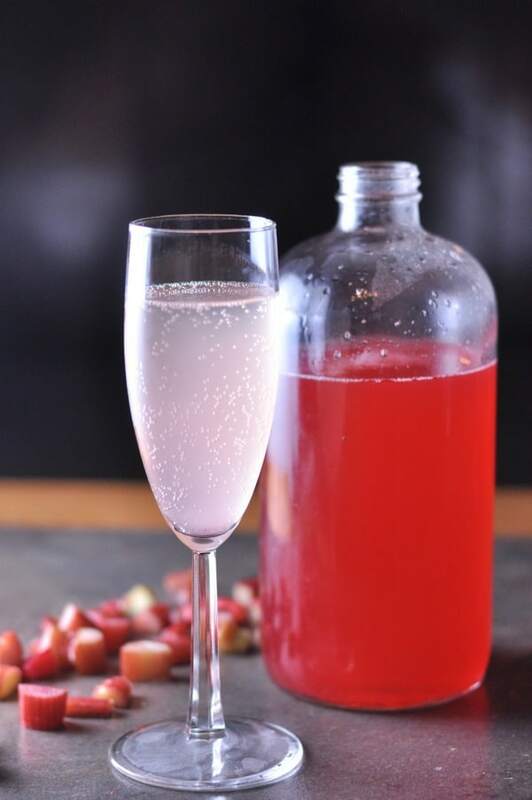 My favorite way to enjoy Rhubarb is by making Rhubarb Syrup. 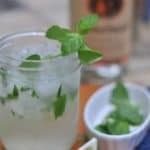 It’s a very simple process and the beautiful pink syrup is great to enjoy mixed with sparkling water, lemonade, gin, in a cosmopolitan or even drizzled on pancakes. 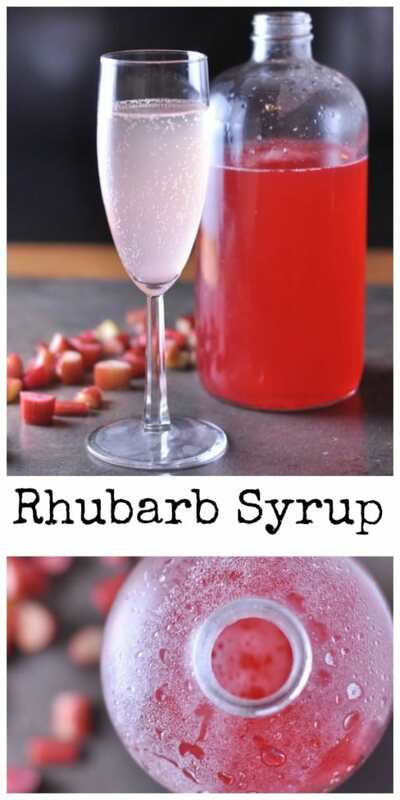 Rhubarb Syrup is made by cooking chopped rhubarb, water, sugar and vanilla. And then once cooked, strain the cooked rhubarb (Rhubarb Compote) and reserve the rhubarb syrup. Bottle, keep refrigerated and add to your favorite drinks or drizzle on breakfast foods. I like to also reserve the cooked rhubarb and add it as a topping on ice cream. Enjoy this yummy and sweet taste of spring! 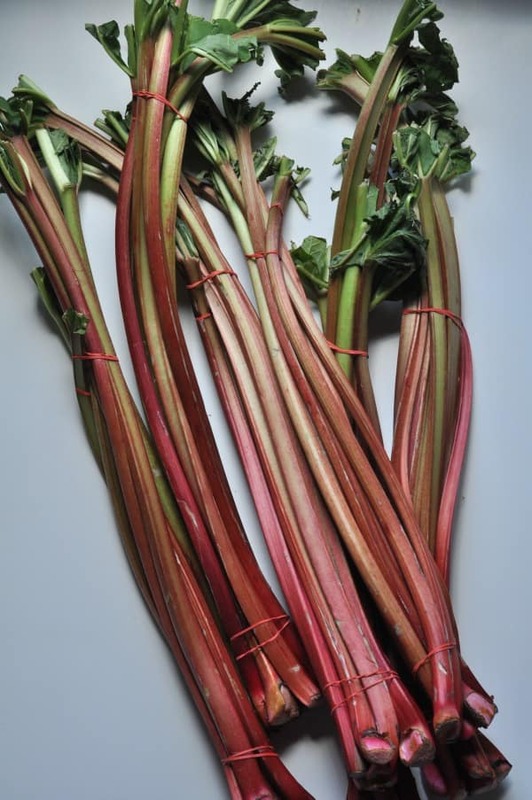 In a saucepan over medium heat, bring rhubarb, water, sugar, and vanilla to a boil. Reduce to low and cook 10 minutes until Rhubarb is completely cooked and soft. Overcooking will mean less liquid. 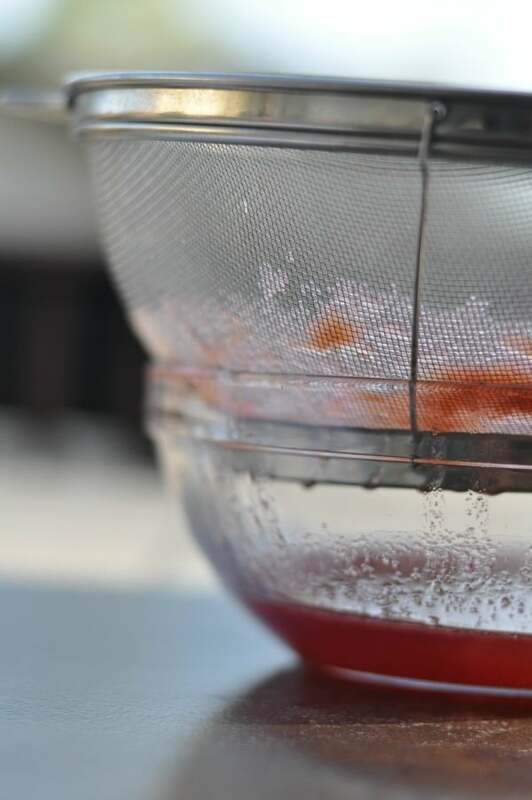 Place a fine mesh strainer over a bowl and place the rhubarb mixture in the strainer. 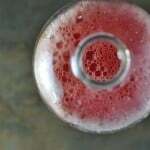 Allow the juice to drain into the bowl and lightly press mixture into strainer until the syrup has completely drained. Once drained, you will have 1 cup of rhubarb syrup. Reserve the cooked rhubarb for future use. 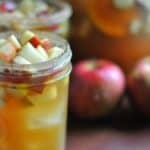 Chill rhubarb syrup until ready to use. 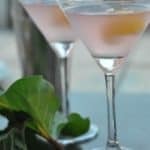 This entry was posted in Drinks, Recipe and tagged cocktails, rhubarb, spring, Wine by Alice Seuffert. Bookmark the permalink.